Some of the iPad line-up were refreshed few days ago with newer display and processors, today, Apple has moved forward to introduced new AirPods with improved features and performance. The second generation Apple AirPods brings hands-free "Siri" integration for complete wireless control. Unlike the first generation AirPods, users can now wake Siri by saying "Hey, Siri" without double-tapping any button. The earbuds are also snappier when paired with multiple iPhones or iPads, thanks to the new H1 chip, which does not only improved performance but is also power efficient. 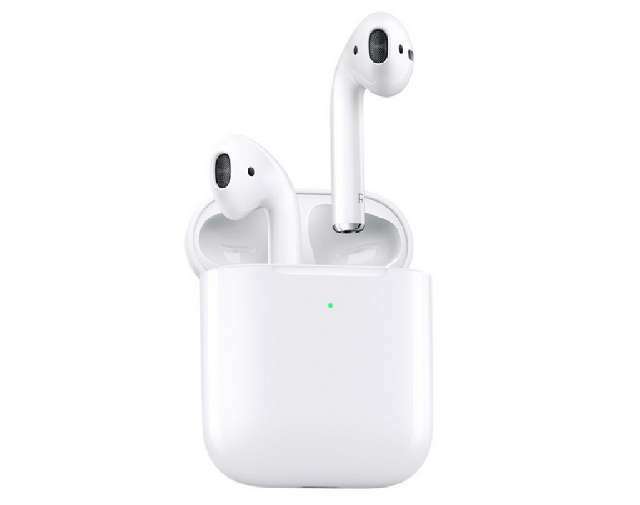 The new H1 chip in the AirPods 2019 replaces the old W1 chip in the previous generation, it also replaces the old Bluetooth 4.2 with the modern Bluetooth 5 connectivity - which have positive effect on the battery life and the output audio quality. Apple latest truely wireless earbuds can now be charged wirelessly via an optional Qi wireless charging case that Apple also unveiled today. The new Qi wireless charging case, according to Apple, can provide additional 24 hours of battery life for the AirPods. The case also has a lightning port incase you want to go wired. For first generation AirPods owners that may not be delighted, Apple said the Qi wireless charging case is backward compatible, so cheer up. For $160, you get the AirPods with the regular case, but for $200 you get the AirPods with the Qi wireless charging case. First-gen owners can buy the wireless case separately for $80 starting today on Apple website.